BlackOut Is Helping Scranton Look Up! 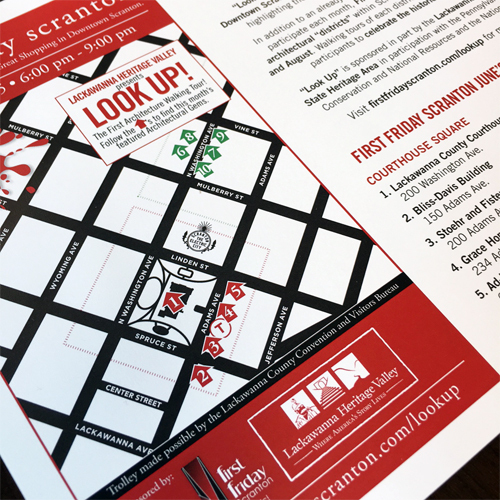 Proud to be a supporting sponsor of First Friday Scranton since its inception, BlackOut recently designed custom maps and inserts. Created to highlight distinct architectural “districts” featured in this month’s First Historic Architecture Tour in conjunction with Lackawanna Heritage Valley, look for our maps this First Friday!